The European Union Election Observation Mission (EU EOM) has replied Nasir el-Rufai, governor of Kaduna state, over a threat he issued to foreigners on the forthcoming elections. The governor had said foreigners who intervene in the election would leave in “body bags”. Responding through a statement on Wednesday evening, EU EOM said its observers would not be deterred from doing their work. It said it had been involved in all Nigerian elections since 1999 and this year will not be an exception. The EU said its observers will continue to do their work -in the run up to, and after the elections -while their security remains under constant review. 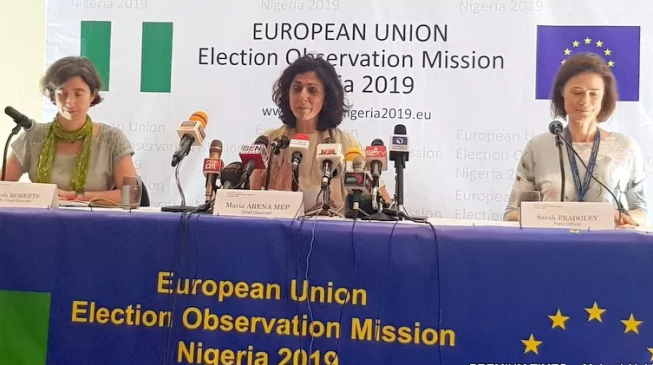 “While the security of EU observers is of paramount importance, and will remain under constant review, EU observers will continue their work across the country in the run-up to – and beyond – the 16 February elections,” the statement read. El-Rufai’s comment had sparked an outrage, with the Peoples Democratic Party (PDP) calling on the international community to impose travel ban on the governor. But clarifying his position, in a statement by Samuel Aruwan, his spokesman, El-Rufai dismissed the criticisms, saying he was defending Nigeria’s dignity.